Nick Hornby’s Fever Pitch has made it onto the Penguin Modern Classics List, putting his work up there with the giants of the literary world, including George Orwell’s 1984, John Steinbeck’s Of Mice and Men, Franz Kafka’s Metamorphosis and Tennessee Williams’ A Streetcar Named Desire. Fever Pitch is the story of a fan obsessed with Arsenal Football Club, and was written in 1992 by Nick Hornby, who is regarded as one of the most popular writers of his generation, and has also seen many of his other works turned into successful fims, including About A Boy, High Fidelity and Fever Pitch which starred Colin Firth and Ruth Gemmell. However critics are questioning whether the highs and lows of a north London club from the 1960s to the 1990s, has enough clout to be included on the well-regarded list, which was MADE BY the THE editorial director at Penguin, who said the book was chosen because it “struck a chord with the popular imagination. Although Fever Pitch is considered a good novel by some it’s not what most would consider a classic novel, and Penguin may have started a fresh debate about what exactly constitutes a “classic” novel, many feel that traditional Classic Novels transcend the time and place in which they were written and still have relevence today, which is why we still want to read them hundreds of years later. Ironically the label “Classics” can also cause People to avoid them because they may think the books are too “High Brow” for them and may find a large tome intimidating. So including a popular, more modern book like Fever Pitch on the list could be a positive thing and Anything that encourages people to read has to be good. The Late, Great American singer, actress, producer and model Whitney Houston was Born on this date 9th August in 1963 in Newark, New Jersey, At the age of 11, Houston started performing as a soloist in the junior gospel choir at the New Hope Baptist Church in Newark, where she also learned to play the piano. When Houston was a teenager, she attended Mount Saint Dominic Academy, a Catholic girls’ high school in Caldwell, New Jersey, where she met her best friend Robyn Crawford, whom she described as the “sister she never had”. While Houston was still in school, her mother continued to teach her how to sing. Houston was also exposed to the music of Chaka Khan, Gladys Knight, and Roberta Flack, most of whom would have an influence on her as a singer and performer. Houston spent some of her teenage years touring nightclubs where her mother Cissy was performing, and she would occasionally get on stage and perform with her. In 1977, at age 14, she became a backup singer on the Michael Zager Band’s single “Life’s a Party”. In 1978, at age 15, Houston sang background vocals on Chaka Khan’s hit single “I’m Every Woman”, a song she would later turn into a larger hit for herself on her monster-selling The Bodyguard soundtrack album. She also sang back-up on albums by Lou Rawls and Jermaine Jackson. In the early 1980s, Houston started working as a fashion model after a photographer saw her at Carnegie Hall singing with her mother. She appeared in the magazines Seventeen, Glamour, Cosmopolitan and Young Miss,Her striking looks and girl-next-door charm made her one of the most sought after teen models of that time and While modeling, she also continued her burgeoning recording career. Houston first recording was a duet with Teddy Pendergrass entitled “Hold Me” which appeared on his album, Love Language. The single was released in 1984 and gave Houston her first taste of success, becoming a Top 5 R&B hit. The Song also appeared on her debut album which was released in February 1985. Rolling Stone magazine praised Houston, calling her “one of the most exciting new voices in years” while The New York Times called the album “an impressive, musically conservative showcase for an exceptional vocal talent”. In the US, the soulful ballad “You Give Good Love” was chosen as the lead single from Houston’s debut to establish her in the black marketplace first. Outside the US, the song failed to get enough attention to become a hit, but in the US, it gave the album its first major hit as it peaked at No. 3 on the US Billboard Hot 100 chart, and No. 1 on the Hot R&B chart. As a result, the album began to sell strongly, and Houston continued promotion by touring nightclubs in the US. She also began performing on late-night television talk shows, which were not usually accessible to unestablished black acts. The jazzy ballad “Saving All My Love for You” was released next and it would become Houston’s first No. 1 single in both the US and the UK. 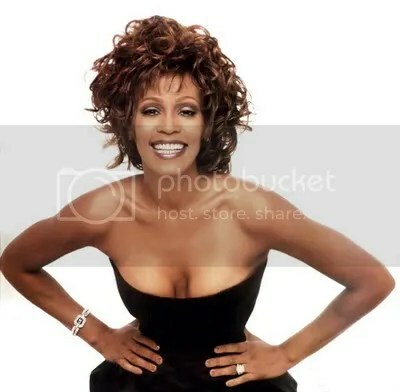 Houston’s second album, Whitney, was released in June 1987. the album enjoyed commercial success. Houston became the first female artist in music history to debut at number one on the Billboard 200 albums chart, and the first artist to enter the albums chart at number one in both the US and UK. The album’s first single, “I Wanna Dance With Somebody (Who Loves Me)“, was also a massive hit worldwide and The next three singles, “Didn’t We Almost Have It All”, “So Emotional”, and “Where Do Broken Hearts Go” all peaked at number one on the US Hot 100 chart, which gave her a total of seven consecutive number one hits, breaking the record of six previously shared by The Beatles and The Bee Gees. Houston became the first female artist to generate four number-one singles from one album. Whitney has been certified 9× Platinum in the US for shipments of over 9 million copies, and has sold a total of 20 million copies worldwide. Sadly Houston, tagically died on the 11th February 2012, at the age of 48. which left fans around the world in shock. The I Will Always Love You and Saving All My Love singer won multiple Grammys including album and record of the year, selling millions of albums and singles worldwide. She also carried her success into the film industry, appearing in hit movies including The Bodyguard. and was a true original, a talent beyond compare, who is sadly missed. Born 1st June 1907, He is credited with independently inventing the turbojet engine (some years earlier than Germany’s Dr. Hans von Ohain) and is regarded by many as the father of jet propulsion. The Turbojet Engine was designed to overcome the limitations of traditional piston-engine turbo-prop engines, which could only fly up to a certain speed and height, because above that the air-flow was too fast and too thin for it to perform effectively. From an early age Whittle demonstrated an aptitude for engineering and an interest in flying. Determined to be a pilot, he overcame his physical limitations to be accepted into the RAF, where his abilities earned him a place on the officer training course at Cranwell. He began his RAF career as an apprentice where he demonstrated an aptitude for engineering and an interest in flying. 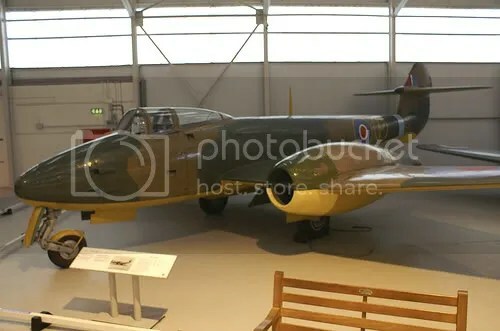 Determined to be a pilot, he was eventually accepted into the RAF, where his abilities earned him a place on the officer training course at Cranwell, where he excelled in his studies and became an accomplished pilot. The International Day of the World’s Indigenous People is observed on August 9 each year to promote and protect the rights of the world’s indigenous population. This event also recognizes the achievements and contributions that indigenous people make to improve world issues such as environmental protection. It was first pronounced by the General Assembly of the United Nations in December 1994, marking the day of the first meeting of the UN Working Group on Indigenous Populations of the Subcommission on the Promotion and Protection of Human Rights, in 1982.